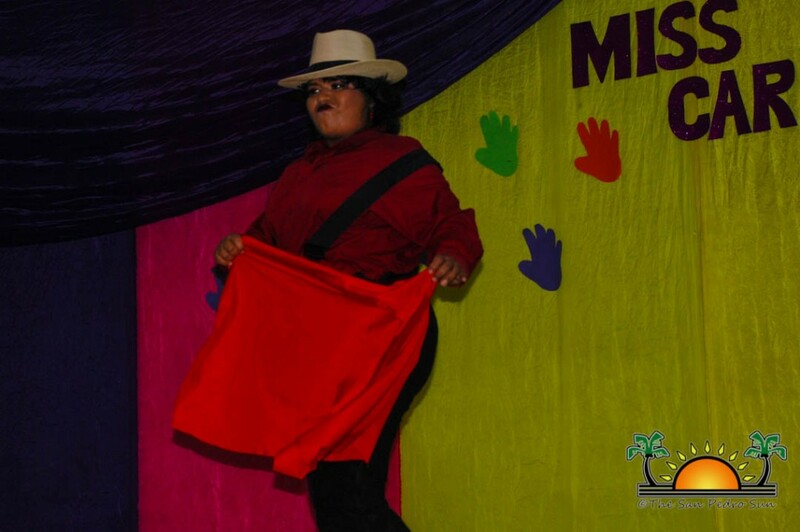 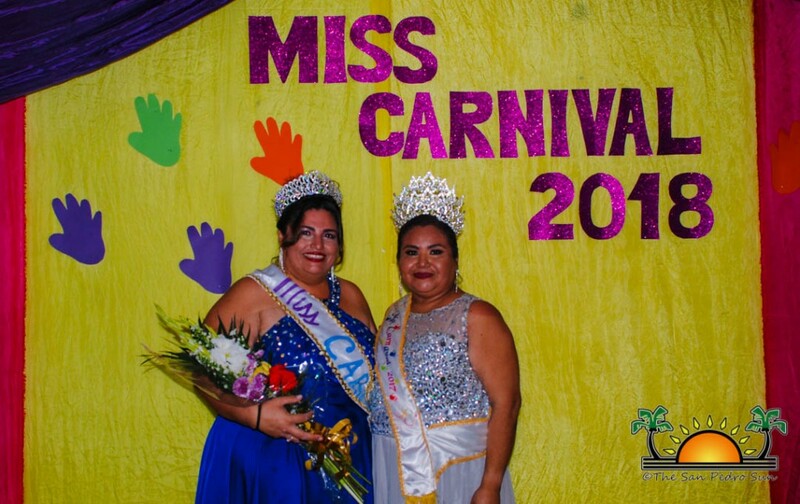 There was much fun and laughter at the annual Miss Carnival Pageant on Friday, February 9th at the Angel Nuñez Auditorium. 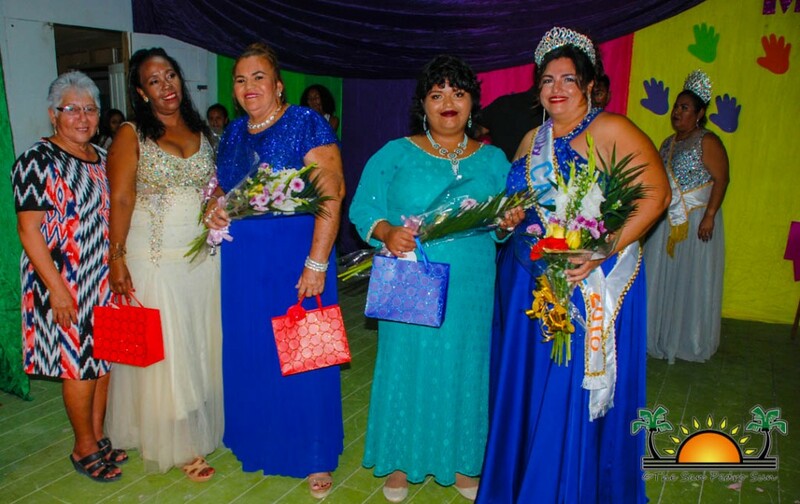 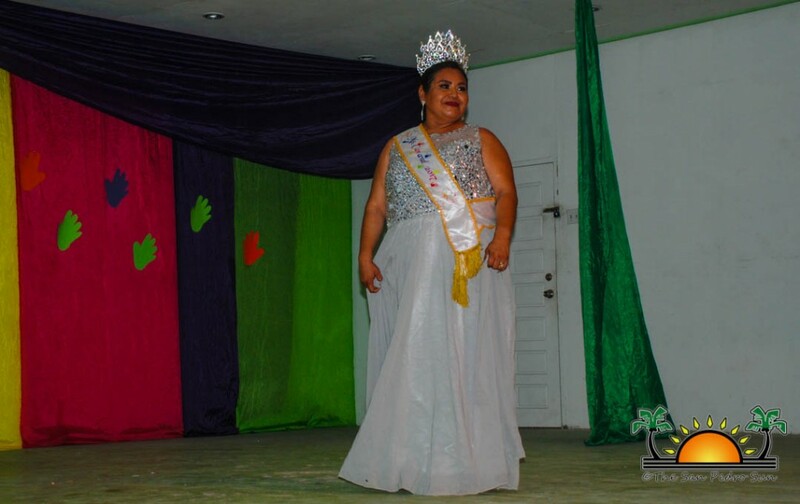 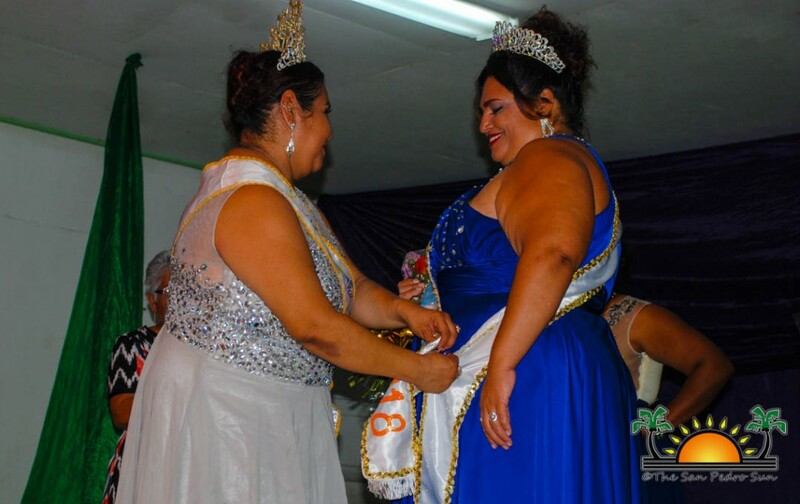 Organized by Flora Ancona’s Comparsa Group, the fifth annual pageant raised funds for the group’s carnival activities, and opened the festivities for ‘El Gran Carnaval de San Pedro.’ The pageant saw the participation of five lovely ladies vying for the coveted title. 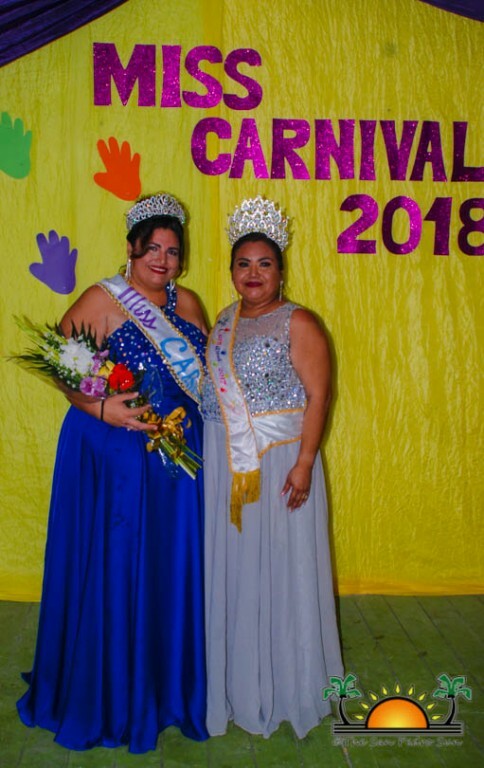 The contestants, Angela Guerrero, Dulce Portillo, Ana Najarro, Delcia Garcia, and Elsa Wiltshire took to the stage for an intense competition, but at the end of the night, it was Ana Najarro who charmed the judges and took home the title of ‘Reina del Carnaval’ 2018-2019. 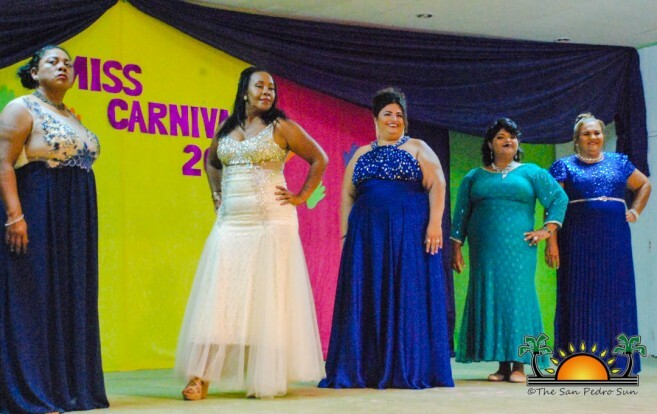 The show tipped off after 7PM with an opening dance by the five contestants. 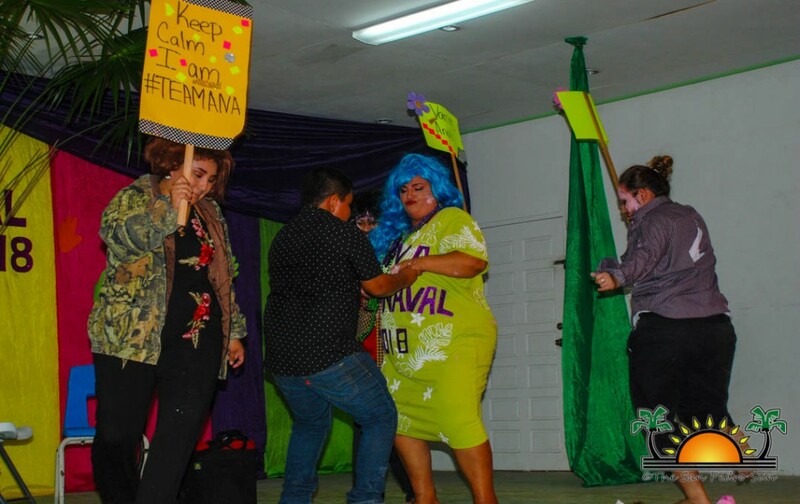 They introduced themselves as they danced in colorful costumes. 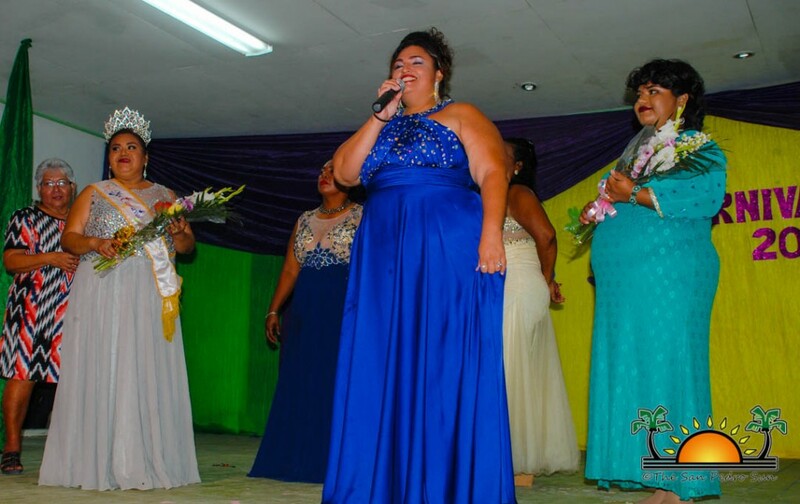 Following the opening, the lovely ladies retreated backstage to prepare for the first segment of the pageant. 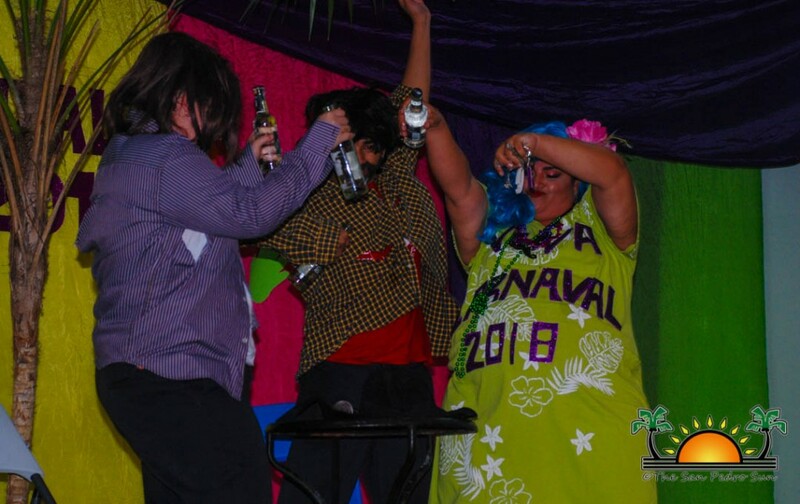 During the intermission break, the judges were introduced; Enrique de Leon, Iraida Gonzalez, and Gonzalo Alamilla were the responsible trio for picking the winner. 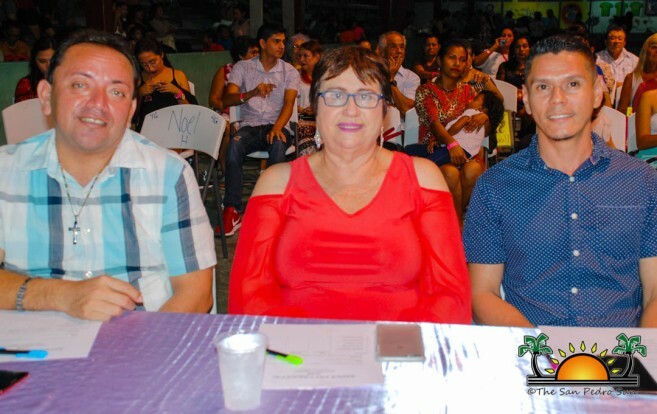 The tabulators for the evening were Dora Gonzalez, Cruz Flores, and Irenie Gonzalez. 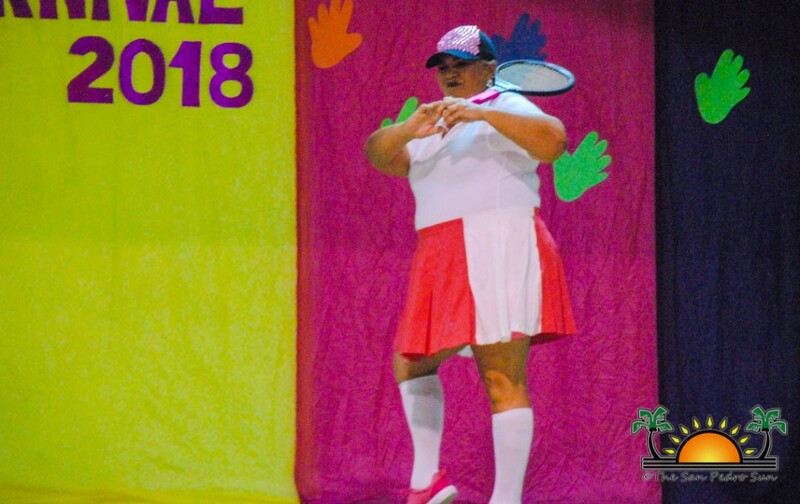 Immediately after a dance number by the San Pedro Dance Academy and La Isla Bonita Dance Group the sportswear segment of the show began. 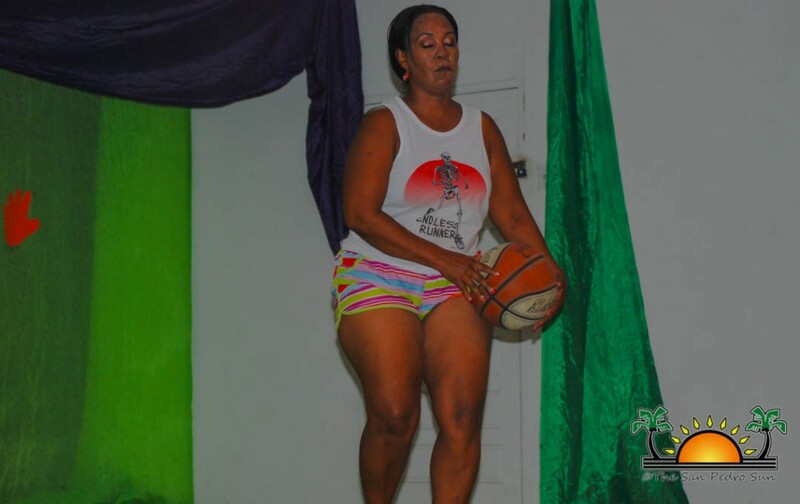 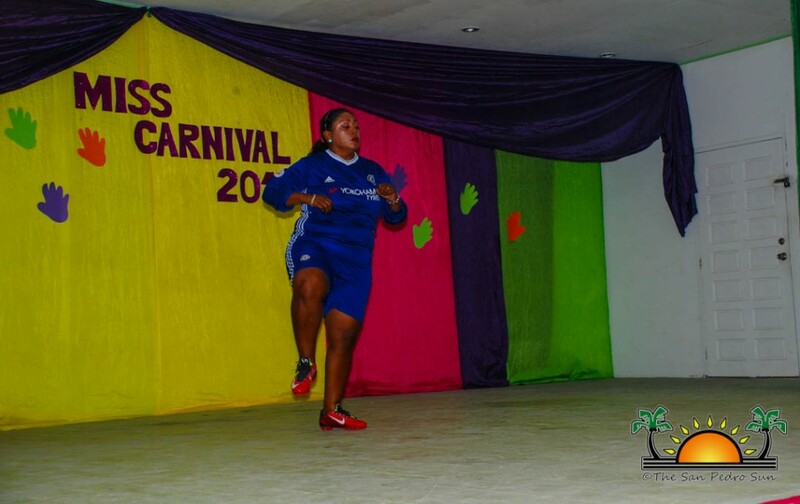 One by one, each contestant showcased different sporting disciplines including basketball, tennis, football and even bullfighting. 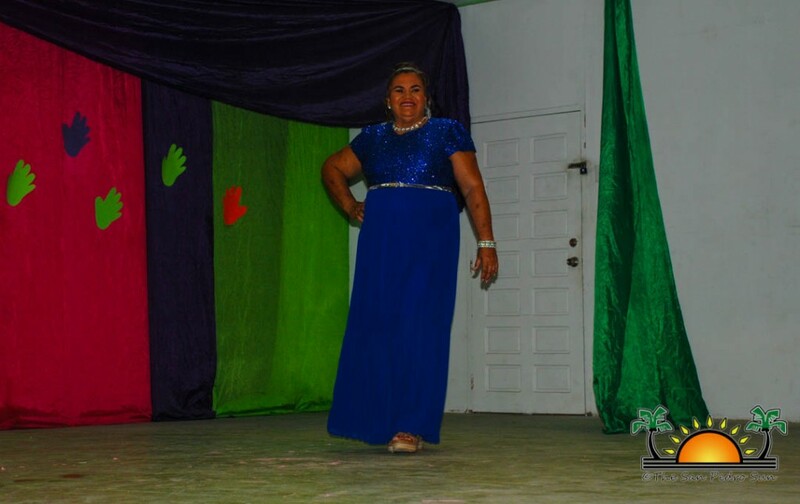 The ladies once again retreated backstage, while another entertaining number delighted the audience. 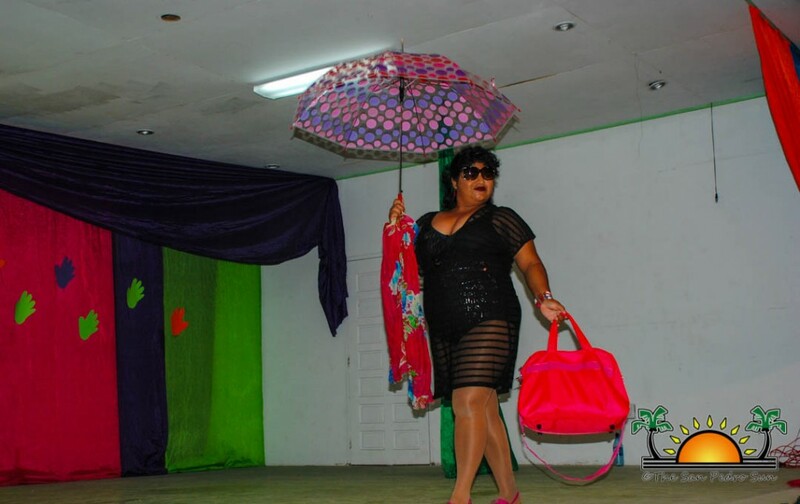 The next segment was beachwear. 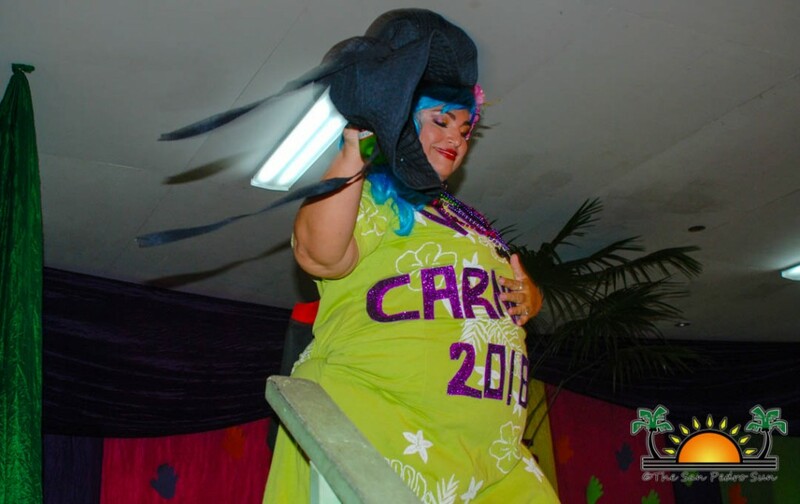 Each participant paced the stage in their bathing suits, some posed with their umbrellas or sundresses determined to capture the judge's attention. 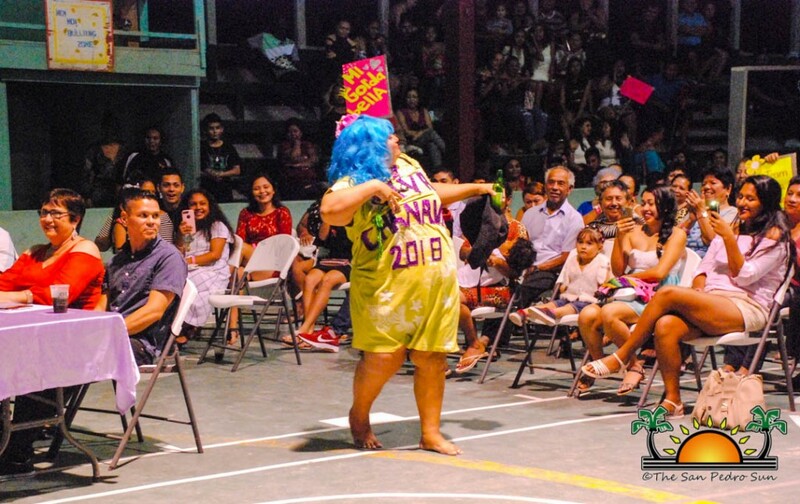 The crowd cheered loudly as each contestant posed, walked and even showed off some dancing moves. 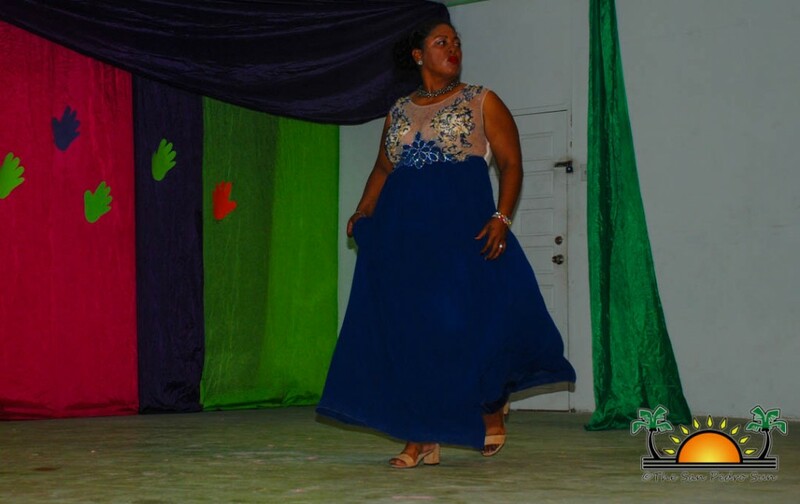 Following this segment, Glenda Thompson serenaded the audience with her melodious voice. 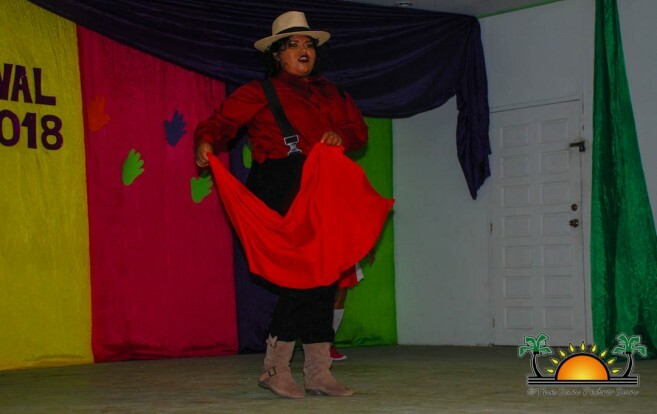 In the talent segment, Guerrero performed a skit portraying the struggles in a conflicted household. 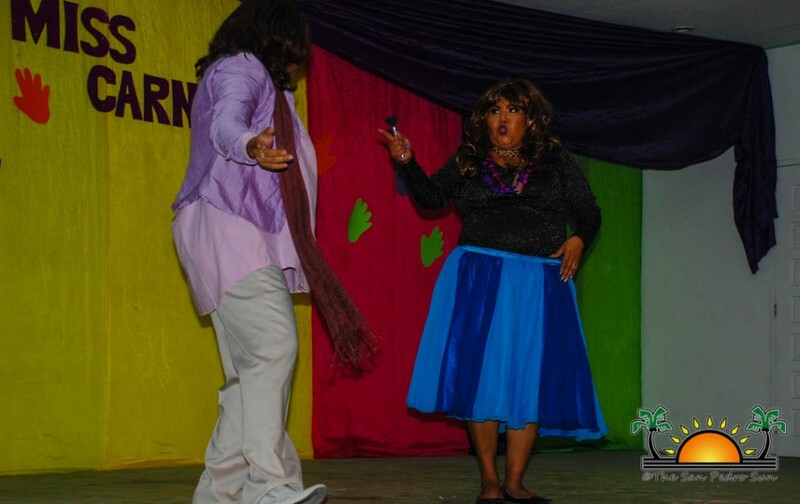 Portillo presented a dance about women who are blamed to abuse her husbands, when in fact it is the other way around. 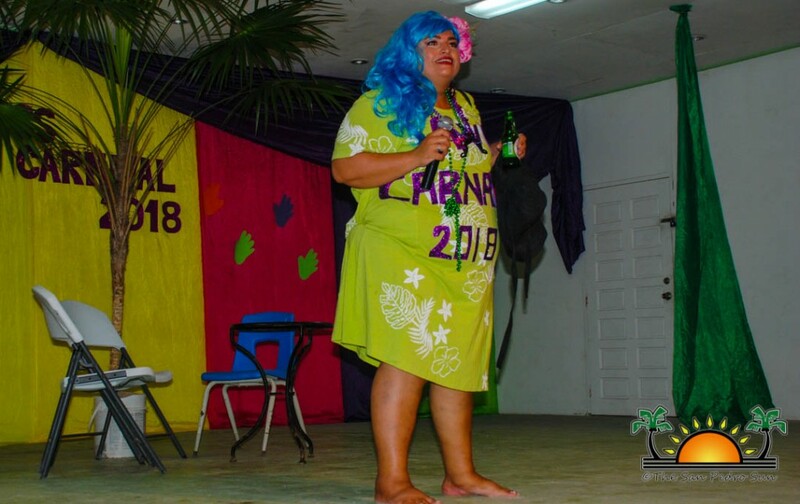 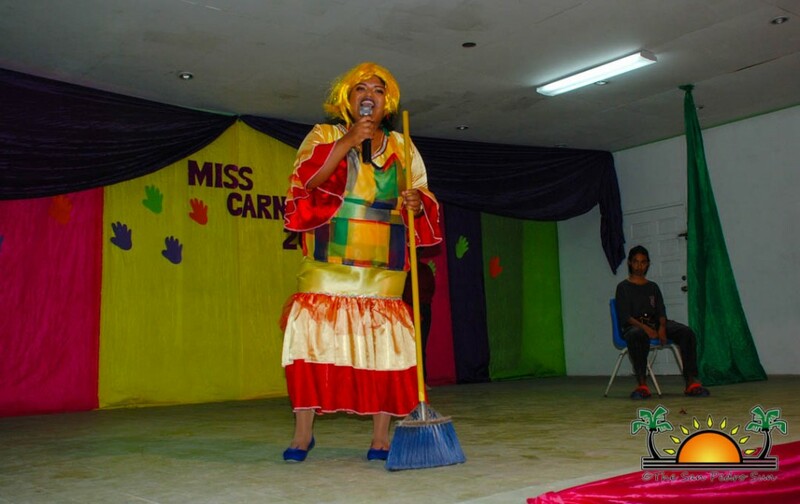 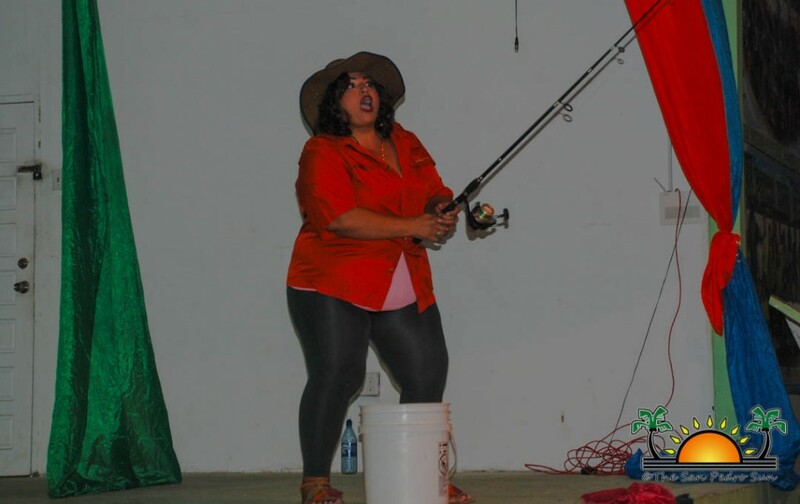 Najarro treated everyone to a play featuring the festivities of carnival. 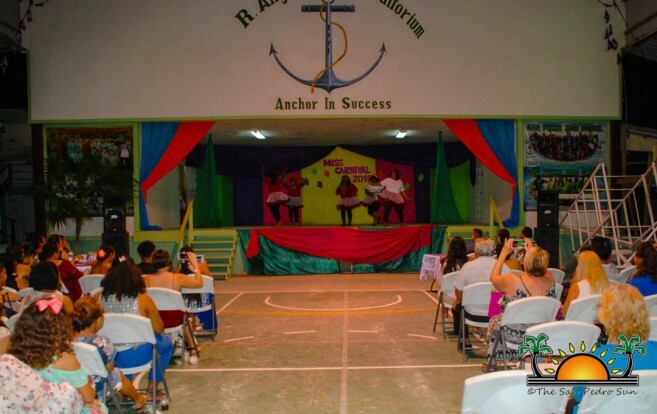 The presentation encouraged everyone to have clean fun, and to respect the tradition during the carnival festivities. 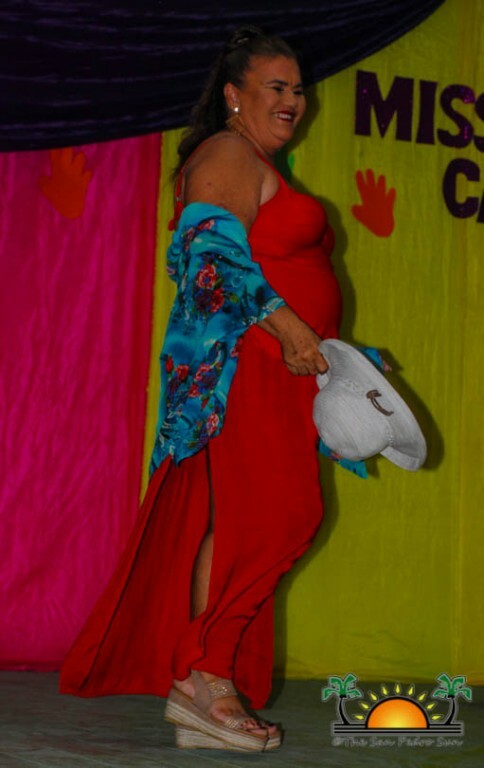 Garcia’s presentation depicted the struggles of an abandoned pregnant woman who was not sure who the baby’s father was. 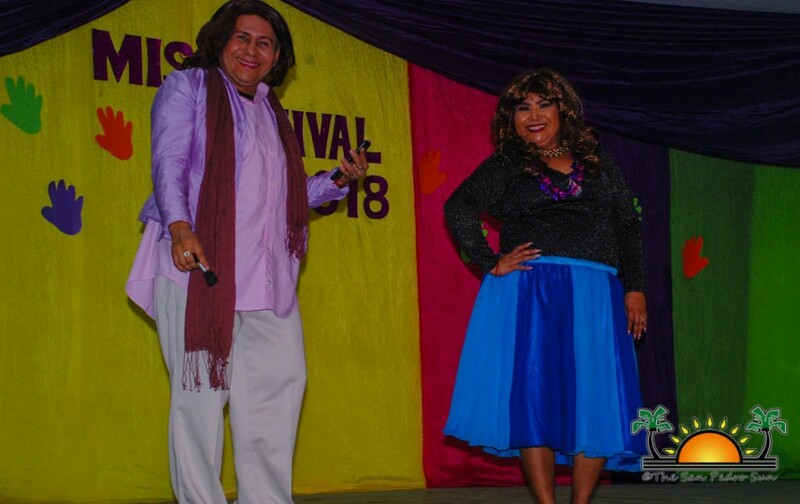 Wiltshire closed the talent segment with a short skit showcasing the negligence of some women, who instead of facing the problems in life, prefer to party in order to escape the issues affecting them. 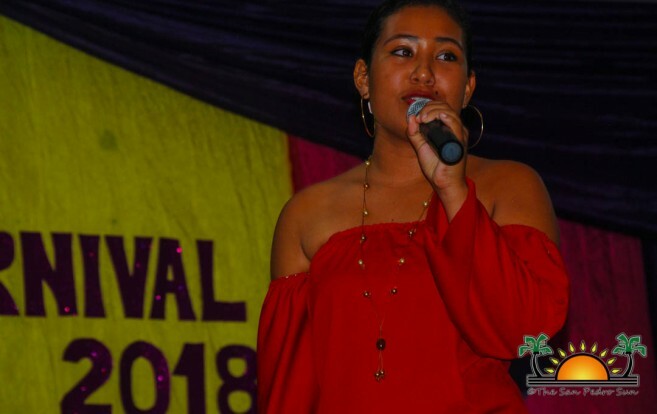 With only one segment left the participants retreated backstage while Yakarelis Dance Group gave a dance presentation followed by a performance by outgoing Miss Carnival 2017 Mari Magaña. 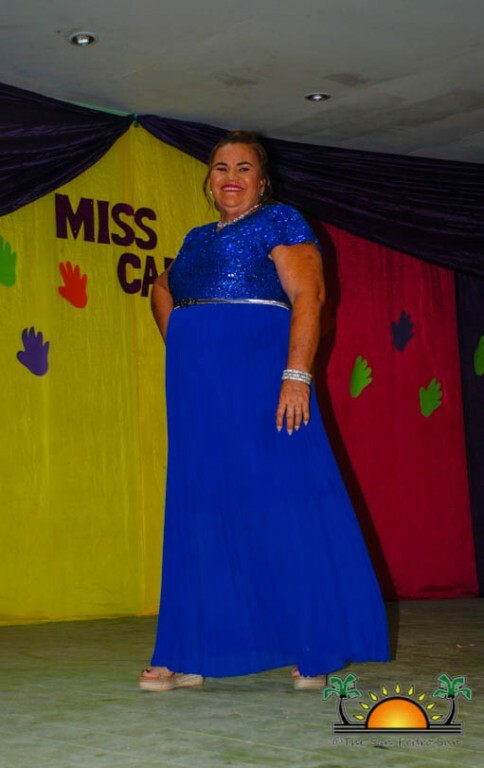 The last segment was the evening wear and all contestants graced the stage in beautiful evening gowns. 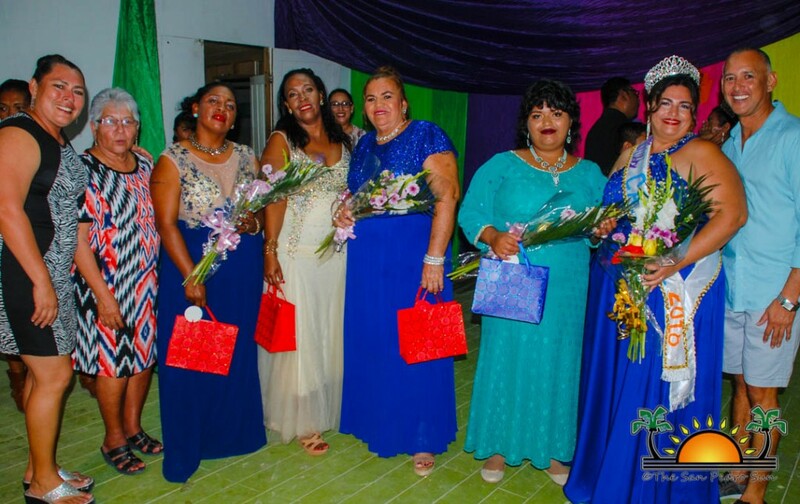 They all posed and smiled in sighting loud applauds from the crowd. 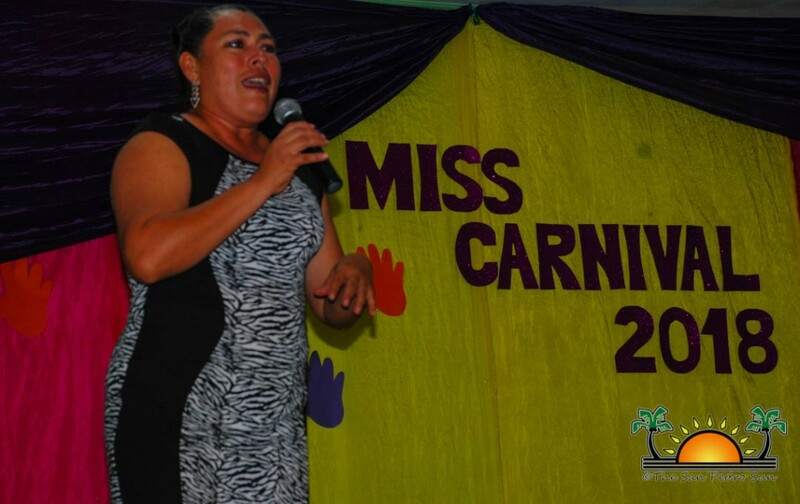 The judges then submitted their final scores to be tabulated. 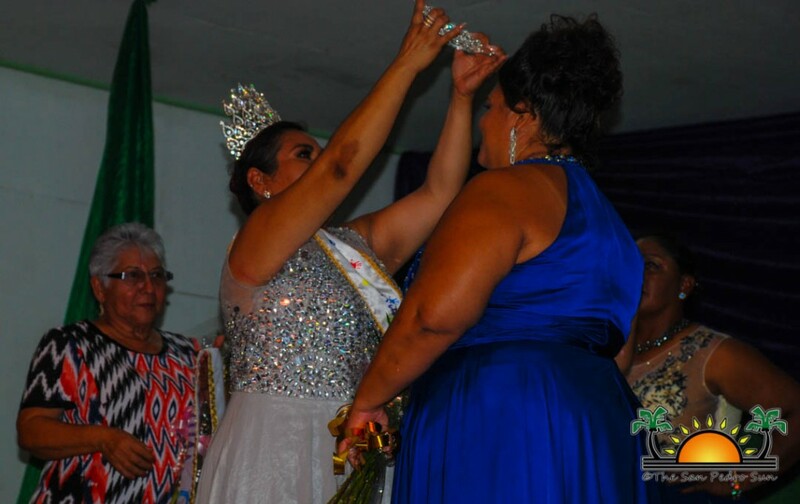 While everyone waited for the results, outgoing Miss Carnival 2017 Mari Magaña, made her last appearance on stage and wished the new queen all the best. 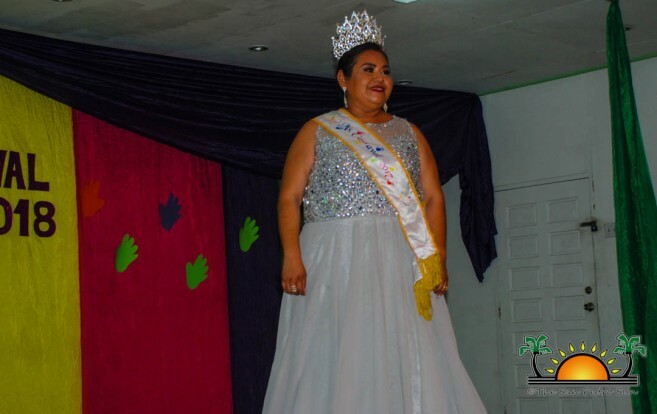 The results were in and first runner-up was Dulce Portillo, who received loud cheers and applauds. 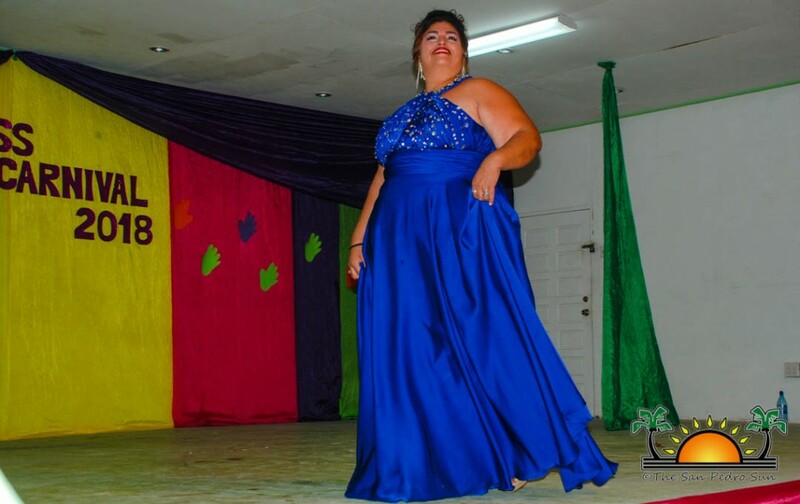 Then, to the sound of drum rolls, the winner was announced. 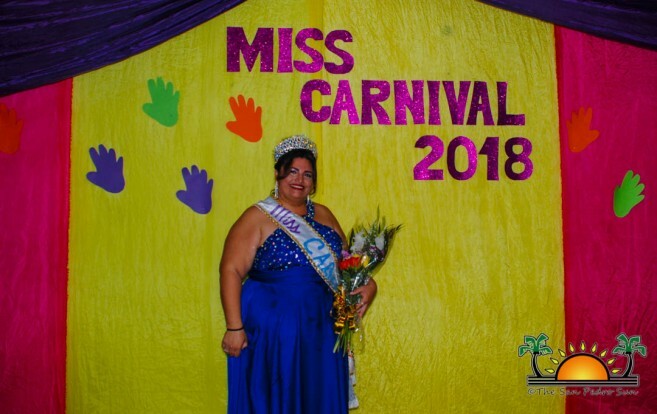 Taking the crown and title of Reina del Carnaval 2018-2019 was Ana Najarro. 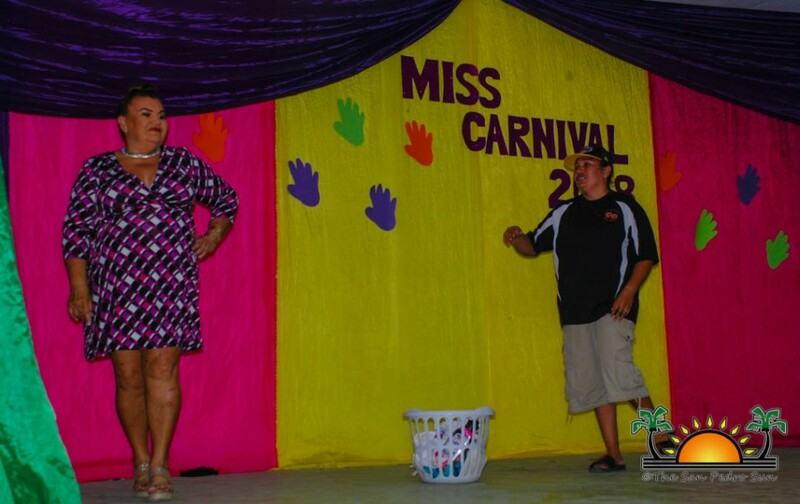 The crowd cheered wildly in agreement with the results. 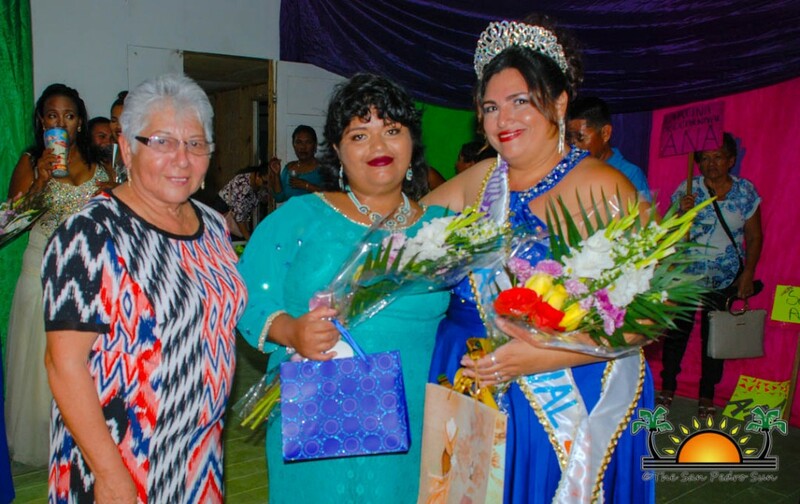 Najarro thanked everyone for their support, particularly her immediate family who supported her in her decision to participate in the pageant. 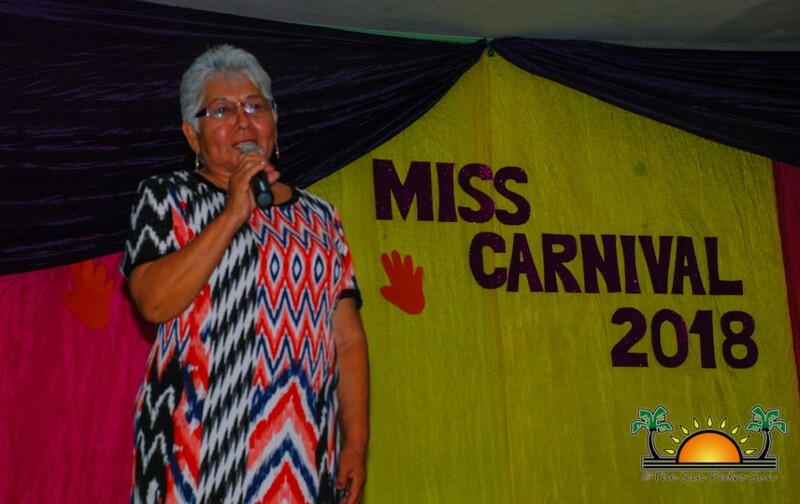 Najarro also invited everyone to support and join in the celebrations of the San Pedro Carnival. 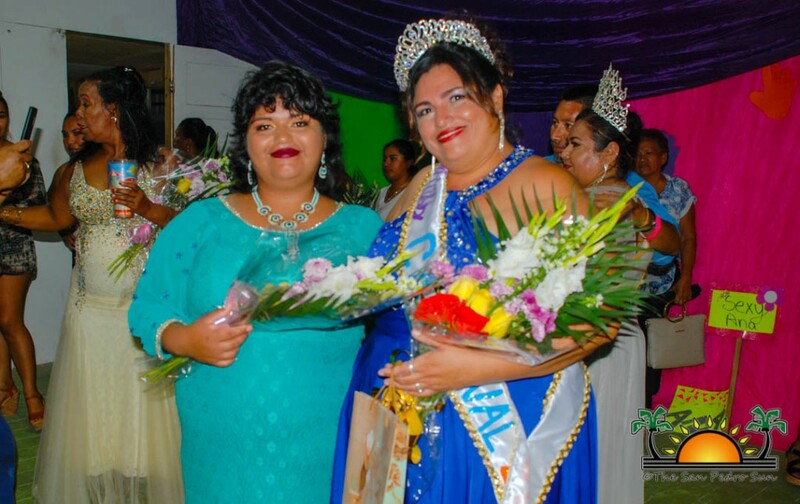 The San Pedro Sun joins the community in congratulating all participants and wishes all the best to Najarro during her reign. 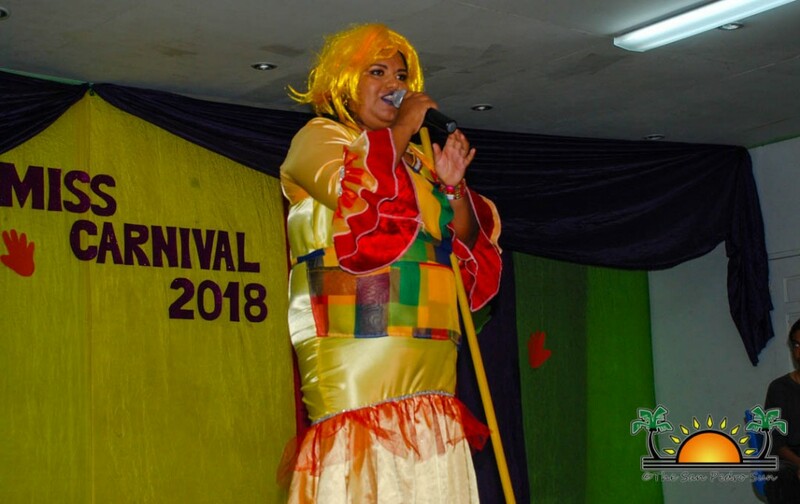 Mari Magaña is the new Reina del Carnaval! 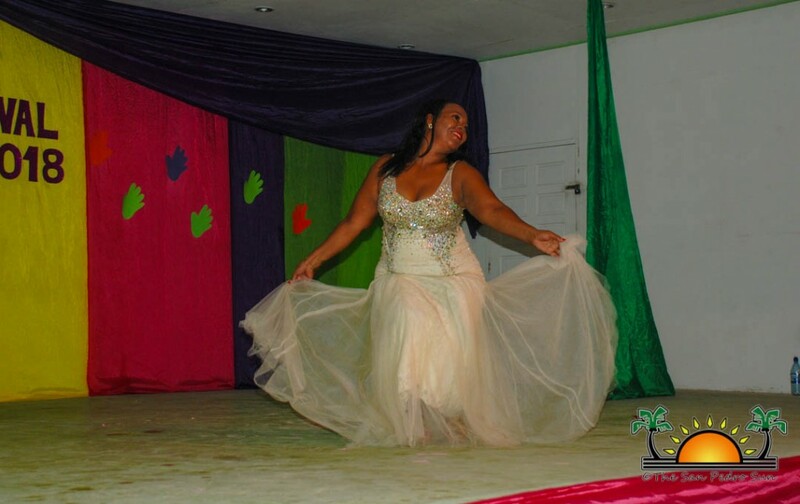 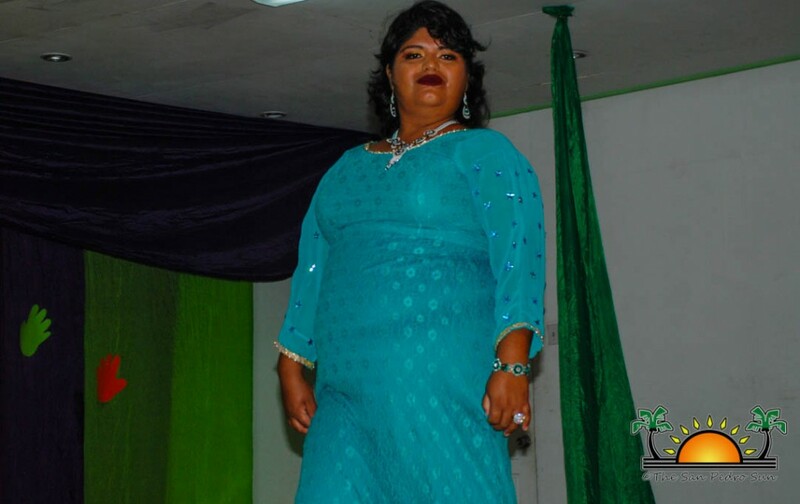 Presenting Miss Belize for Costa Maya 2012!